Lake Oswego-based Twist Yoga has been awarded a MINDBODY Visionary Award for its excellence in the fitness, beauty and wellness industry. 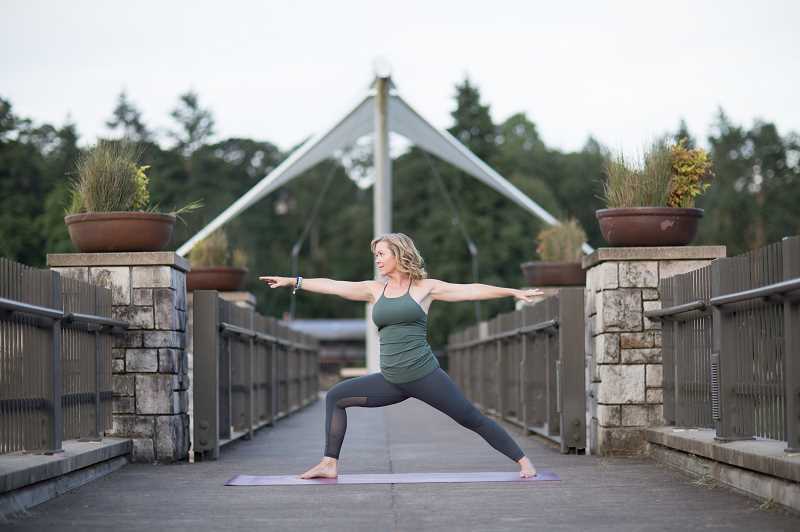 Lake Oswego-based Twist Yoga has been honored in the inaugural MINDBODY Visionary Awards, given for business excellence in the fitness, beauty and wellness industry. "The MINDBODY Visionary Awards are our way of celebrating the business owners we serve, for both their success and for how they translate that into helping their communities live healthier, happier lives," said Rick Stollmeyer, MINDBODY CEO and co-founder. "Connecting the world to wellness starts in our backyards, and our honorees deserve to be recognized for their commitment and achievements." Founded by Jennifer Pahl in 2013 around the belief that "connection fuels happiness," Twist Yoga offers a variety of yoga and fitness classes and also offers Yoga Alliance certified teacher training, private lessons, online classes and workplace wellness solutions. "I'm so honored to be among such an incredible group of business owners," said Pahl. "The ability to live my dream of creating a space where connection fuels happiness is the most I could ever imagine." After many years spent dabbling in every fitness style known to womankind, Pahl literally "landed" on a yoga mat with an injured shoulder and a body that can be described as anything but flexible. She immediately fell in love with how yoga made her feel. She said it quickly became clear that yoga was more than her personal passion — it was her calling. She wanted to "share the incredible feeling of empowerment and presence" she experienced from yoga with as many people as possible. She left her corporate career in finance to open Twist Yoga, a supportive studio providing yoga, meditation and functional fitness classes to the greater Portland community. Two years later she launched Twist Your Workplace, providing corporate wellness solutions for workplaces. This year she launched online classes at Twist Yoga Online. Pahl is a Bridgeport Village Ambassador for Lululemon and is part of MINDBODY's One Champion network as a board member. She served six years on the board of Lake Oswego Schools Foundation and volunteers at local charities. "At Twist Yoga, connection is at the heart of everything we do," Pahl said. "Whether it's connecting mind to body, breath to movement or individuals to their community, our missions is to fuel happiness through connection. We aim for every person who visits our studio to walk out feeling lighter, stronger and more connected with themselves and the world around them." Twist Yoga is located at 3970 SW Mercantile Drive suite 100 in Lake Oswego. Visit twist-yoga.com or call 503-303-4195.